Description: Maya. painted clay. Palenque style incensario. 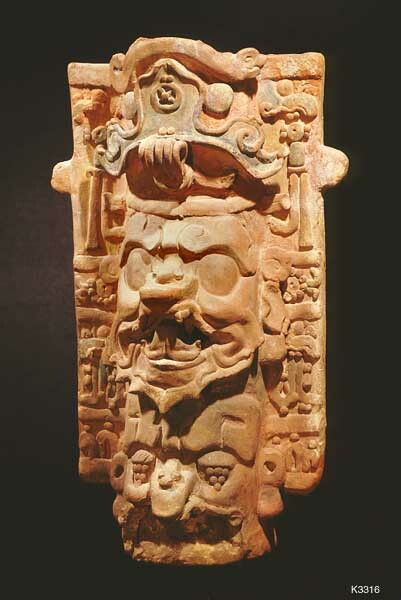 The center head is K'inich Ajaw the sun god. height 106.6 cm..